Reservoir Dongs is a 1992 crime film by Quentin Tarantino. In the film, we can see many things characteristic of Tarantino, violent crimes, pop culture references, profuse profanity etc. The film tells the story of what happens before and after a jewelry store robbery. 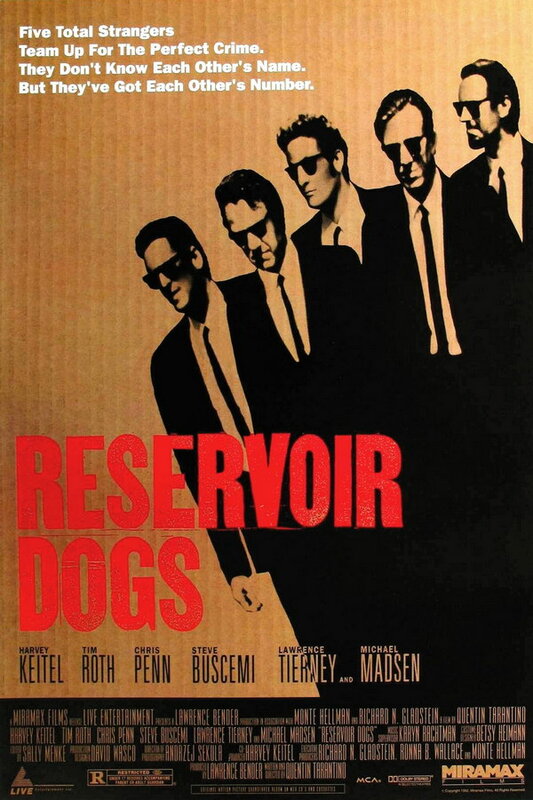 The font used for the film title in the poster is very similar to a sans serif called Reservoir Dogs, The font is free for personal use only. You can download the font for free here. If you do not want to download and install the font but just like to create simple text or logos using Reservoir Dogs Font, just use the text generator below. The following tool will convert your entered text into images using Reservoir Dogs Font, and then you can right-click on the image to save it or click on the "EMBED" button to get links to embed images on the web.